If you want your vacation to be about reconnecting with friends and family, renting an RV is the way to go. There’s just something about hitting the road and staying in an RV that brings people closer together. You may think that RV vacations include getting up close and personal with nature. That can be true, but it doesn’t have to be! The truth is that you can just as easily vacation in an RV in the city. Even in a city like New Orleans. Here are a few of the best New Orleans RV parks that will make your vacation one to remember. 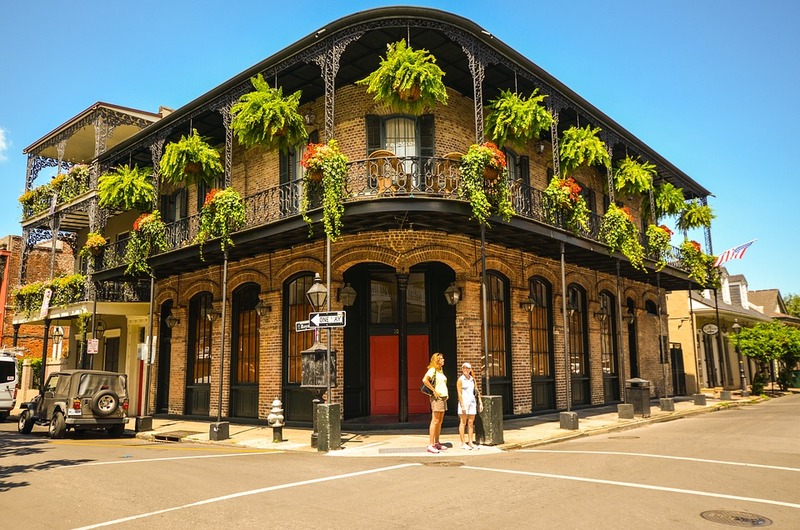 One of the best things to do in New Orleans is explore the French Quarter. There are so many choices that are perfect for the whole family. From exploring unique architecture to sampling the world-renowned cuisine, it’s worth it to make sure you’re close to this popular vacation spot. No other park gets closer than the French Quarter RV Resort. It is located just a few blocks away from the historic New Orleans area, which means it’s easy to access by bicycle and car. It’s so close that you can even walk there! The French Quarter RV Resort is unique in that it operates more like a luxury hotel and less like a camping ground. It houses a clubhouse, laundry rooms, and private baths, but the best amenity is the French Quarter-style courtyard that features a pool, hot tub, and a bar. If you’re looking for an affordable vacation, consider 3 Oaks & A Pine. Not only does it offer some of the lowest rates in the area, it can also accommodate large rigs of up to 80 feet in length. On-site staff will make sure you’re comfortable, and the secure facility will ensure you’re safe during your stay. Camping at a KOA is a lot like staying at a Holiday Inn. Because it’s a nationally owned and recognized company, you can expect a consistent experience when you park your RV. When you stay at the KOA in West New Orleans, you’ll enjoy amenities like a swimming pool, but one of the most convincing reasons to stay at this campground is the fact that it offers tour shuttle services. RVing isn’t just for the woods! If you’re looking to stay within city limits and experience everything that New Orleans has to offer, make sure you check out one of these RV parks. They will ensure you’re comfortable while you explore the southern hospitality that this city is known for. Mardi Gras is a celebration of outstanding food, high jinks, late night partying and deep American soul and you can find it in the heart of the south, New Orleans. Mardi Gras or Fat Tuesday as it is colloquially known is a huge marching procession through the center of New Orleans where people dress up, dance and sing the day and night away in a colorful and loud display life. Tasty food, creative drinks and lots of fun is the order of the day at Mardi Gras and if you want to be part of the action this year then here is your handy guide. The idea of the festival is to have a final blow out before lent and as such the celebrations take place throughout the two weeks leading up to shrove Tuesday. The two biggest days of the festival are Fat Monday and Fat Tuesday, these are the days when the processions take place throughout the town. How Does it All Take Place? The parades that take place though many streets in New Orleans are organized by Krewes, these are local social clubs who put together the event and organize the floats. There are several different types of floats which go through the city, each organized by various Krewes and as the floats pass they will throw out beaded necklaces to the people on the street. Resellers are encouraged to wear colorful clothing as well as costumes and masks to the event and each year sees some pretty outlandish costumes. 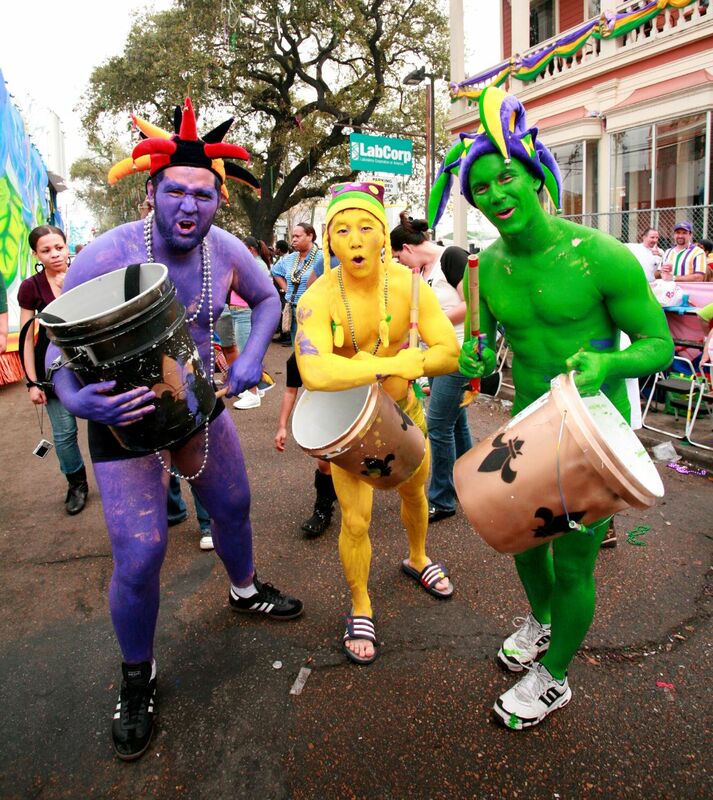 It should be noted that members of the Krewes will not wear fancy dress until after Fat Tuesday. Laws that exist about concealing your identity are suspended for a day and the revelers can wear whatever they like across their faces. Each year the Krewes of the carnival have the responsibility of erecting the king of the carnival, Rex. The Rex motto is Pro Bono Publico—for the public good” and this is placed in the center of the french quarter of the city to celebrate the festival. Heading to New Orleans Mardi Gras as a visitor you should expect to have the party of your life, a non-stop wall to wall festival which involves every bar and eatery across the city. The festival has also become a celebration of all things New Orleans which include the food so expect to see lots of good, old fashioned southern fried food on offer. Hotels will be tough to get so make sure that you get in quick if you want to enjoy the Mardi Gras in style. The throws which are tossed from the floats can be of great value so try to hang on to what you manage to grab. Other than the parade you will be able to enjoy a lot of fun in the city bars and on the city streets as you enjoy the carnival together and one thing is for sure that once you have been to Mardi Gras once, you will want to come back again and again.